Lucky day! 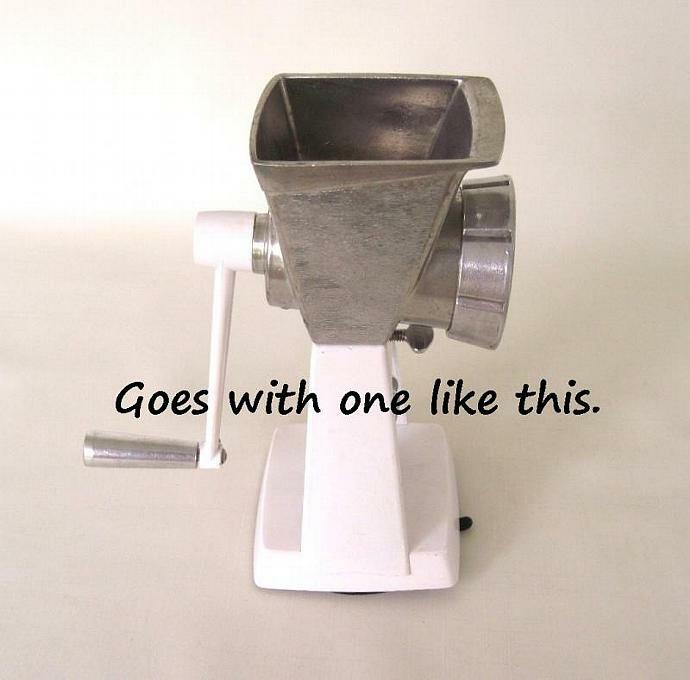 You've found a vintage Universal Dazey meat grinder replacement part! This screw on ring nut / retaining ring fits a hand crank Universal Dazey meat grinder as shown in the 3rd photo. 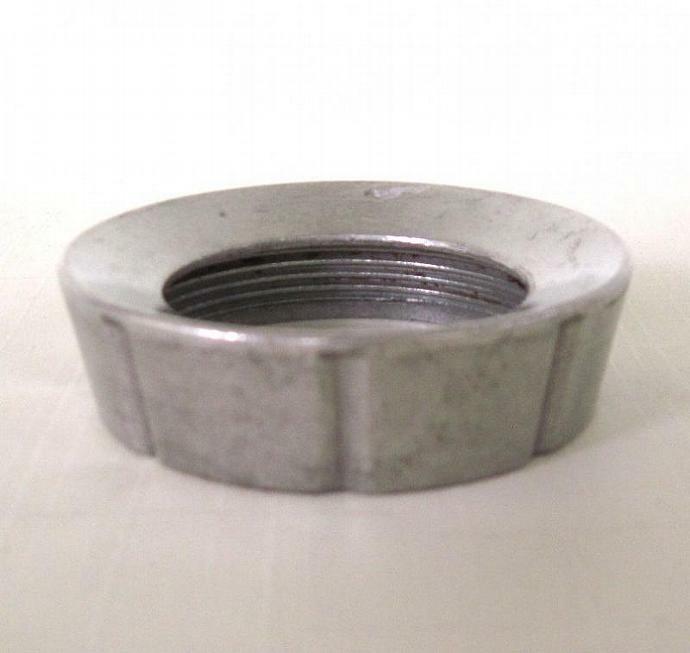 This Universal Dazey meat grinder ring nut replacement part has marks from use. 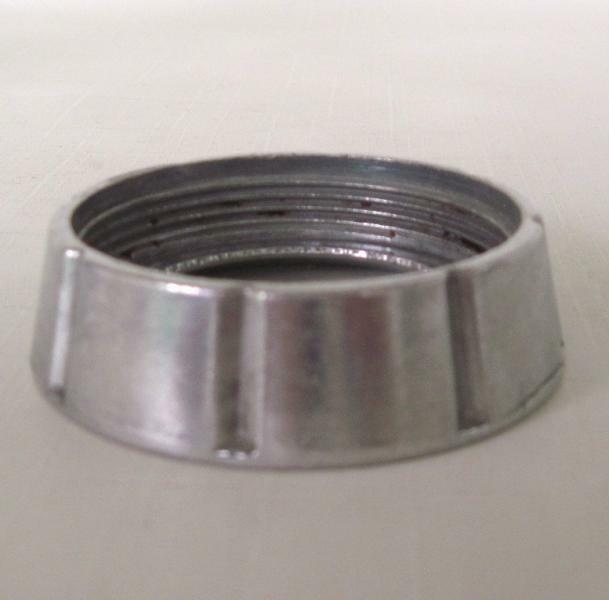 "Add Shop to Favorites" via the link on the right to get first dibs on more hard-to-find vintage kitchenwares from Laura's Last Ditch, then "Add to Cart" to make this vintage Universal Dazey meat grinder ring nut replacement part yours.